It’s just over three weeks until Thanksgiving. Wow, time is flying by! We’re having the in-laws over the weekend before Thanksgiving for a little pre-holiday shopping. I’ve been thinking about what I’d like to have for dinner that day. I want to keep the flavors seasonal, but not make it too formal. With the big meal only a few days later I don’t want to go overboard. I had been looking at a couple of chicken recipes, but I don’t think poultry is the way to go. Then, I ran across this recipe in my Fine Cooking magazine from last November. That’s right, pork chops. 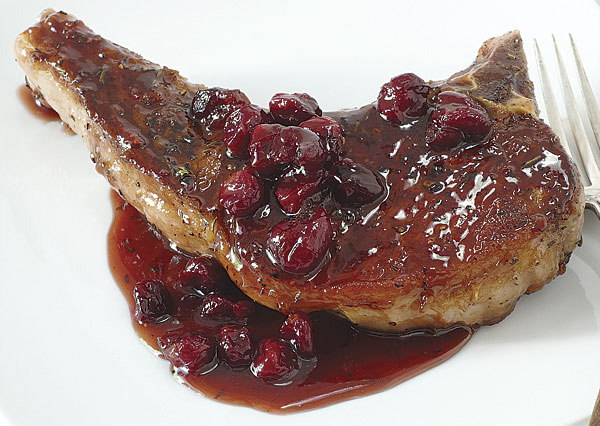 This recipe is for a pan-seared pork chop with a cranberry maple sauce. I love the idea of the cranberry and maple flavors, which I’m going to carry through out the menu. Maple is a favorite flavor of both my DH and MIL and perfect for a November meal. It goes well with both sweet and savory dishes. 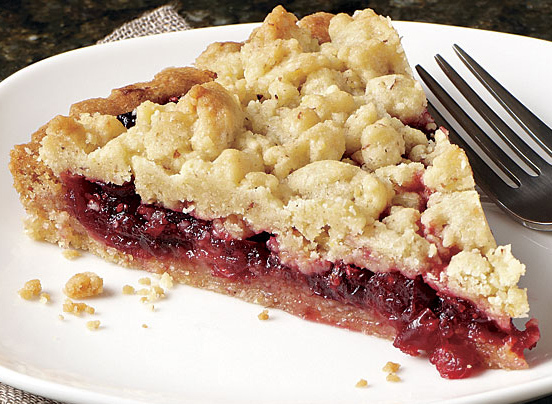 The addition of the cranberry flavor helps to cut through the sweetness of the maple. I am planning on a cranberry almond shortbread tart for dessert. I’ve checked the reviews on it and there’s a little concern it may be too tart. I’ll do a trial run on this one and see if it needs to be sweetened up at all. I still have to figure out what I’d like to do for appetizers, but here’s the final menu. I can’t wait, it’s going to be so good! Dinner: Pecan, Radicchio, and Asian Pear Salad, Pork Chops with Cranberry Maple Sauce, Maple Roasted Carrots, and Yeast Rolls.